MIE Seminar Series: "Interdisciplinary Interface Engineering: Development of Platform Technologies and Advancement of Fundamental Science by Micro- and Nano-fabrication"
“A picture is worth a thousand words. An interface is worth a thousand pictures.” Lotus leaves, wine tears, gecko feet are all heterogeneous interfaces that have been fascinating scientists and engineers in studying their fundamentals and mimicking them for various applications. Connecting two bulks, interfaces are in nature interdisciplinary with characteristic length at micro-/nanoscales. In this talk, I will demonstrate how proper micro- and nano-engineering of the heterogeneous interfaces enables platform technologies with wide applications across different disciplines, as well as advancing the fundamental science. First, I will present our research focusing on lotus leaves inspired super-repellent surfaces. I will guide you through a journey of how we design specific micro-/nano-structures to push the repellency to the extreme and realize the first-ever surface that can repel any existing liquids. In addition, I will demonstrate how we utilize micro/nanofabrication to equip us with special devices to improve our understanding about the motion of the dynamic contact lines, as well as to develop a low-friction conductive liquid-ring bearing. Second, I will present our recent efforts on developing soft implantable/wearable medical devices. By introducing our newly developed fabrication strategy for soft electronics and soft robotics, I will show how we could integrate high-performance semiconductor devices with hyperelastic polymers and liquid metals to realize flexible and stretchable systems. Using this platform technology, we have developed a flexible, multifunctional neural probe with stiffness tunable over 5 orders of magnitude for deep-brain chemical sensing and drug delivery. Tingyi “Leo” Liu received his B.E. in Electrical Engineering from Zhejiang University, Hangzhou China in 2009, M.S. and Ph.D. in Mechanical Engineering from the University of California, Los Angeles (UCLA) in 2011 and 2014, respectively. 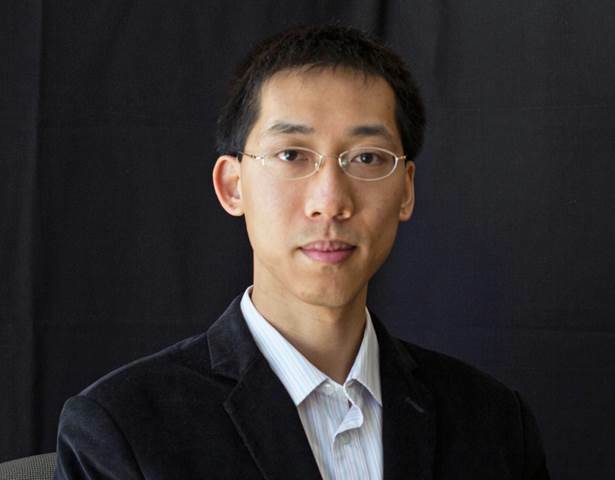 His research focuses on utilizing micro- and nano-fabrication to study diverse interfacial phenomena and to engineer the heterogeneous interfaces for interdisciplinary applications. His research also extends to cancer immunotherapy, multifunctional neural probes, optimization of drug-dose combination for infectious diseases, and complex systems.